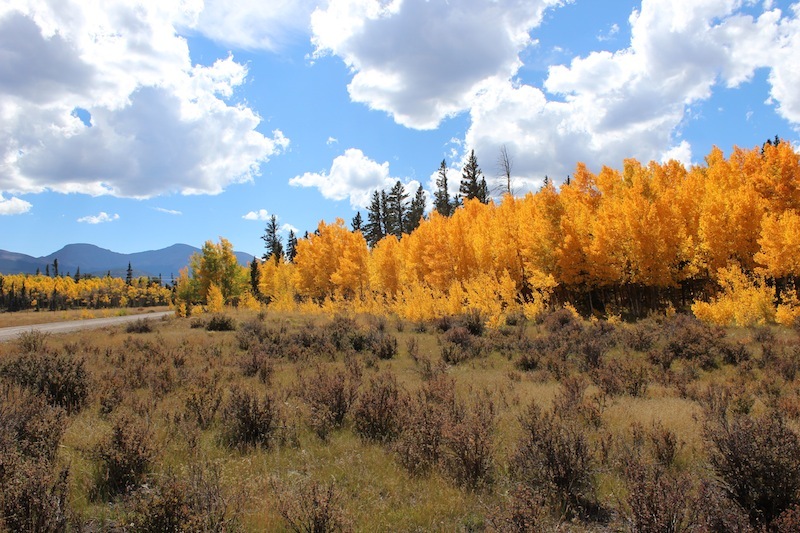 Every Fall we always try to take at least one day trip to find Aspen gold. 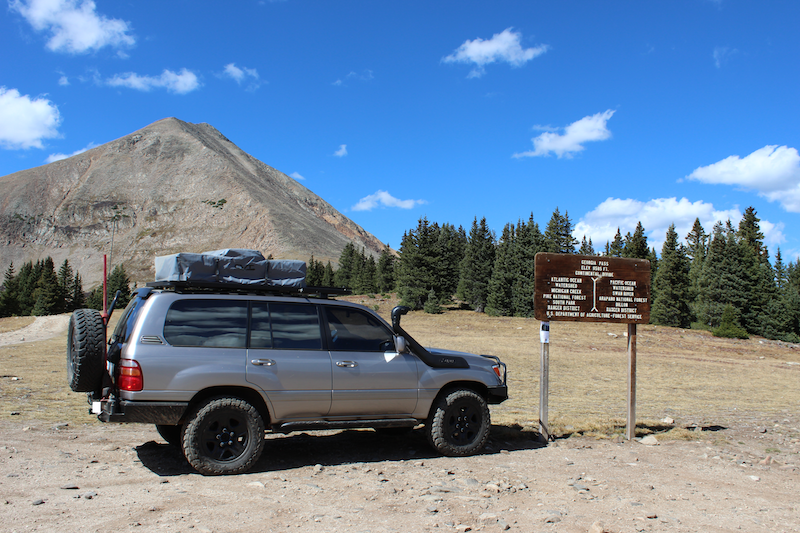 This year we found an offroad trail with a little challenge and a little scenery — Georgia Pass. 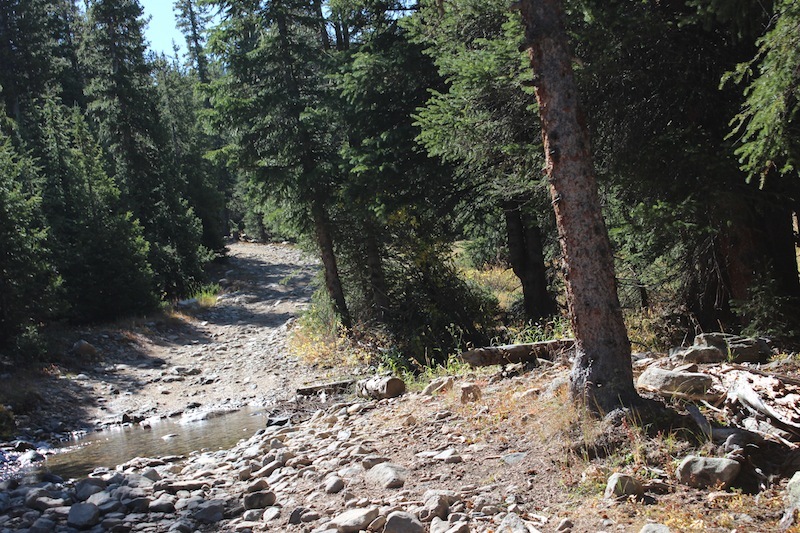 This pass connects the towns of Jefferson and Breckenridge and was once a late 1800’s stagecoach trail that carried passengers from the Jefferson railroad terminal into Breckenridge and surrounding communities. 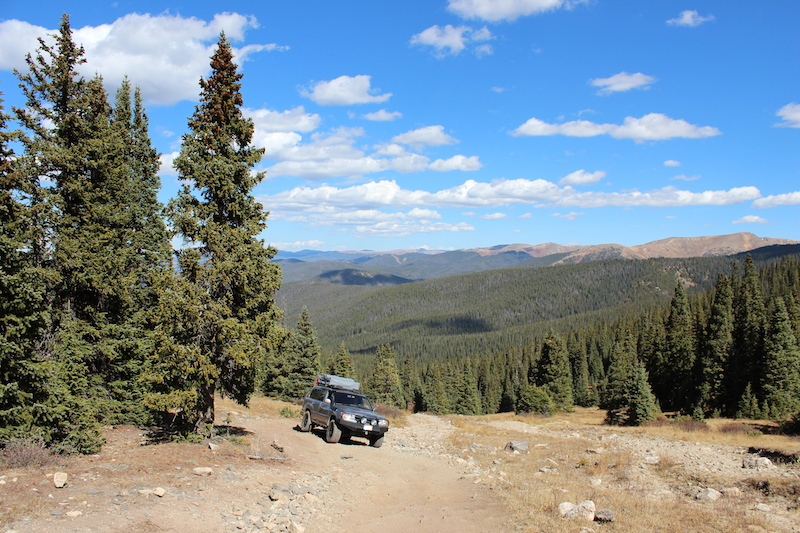 We decided to enter the trail from Tiger Road just outside of Breckenridge, since this section of the pass was the most difficult. 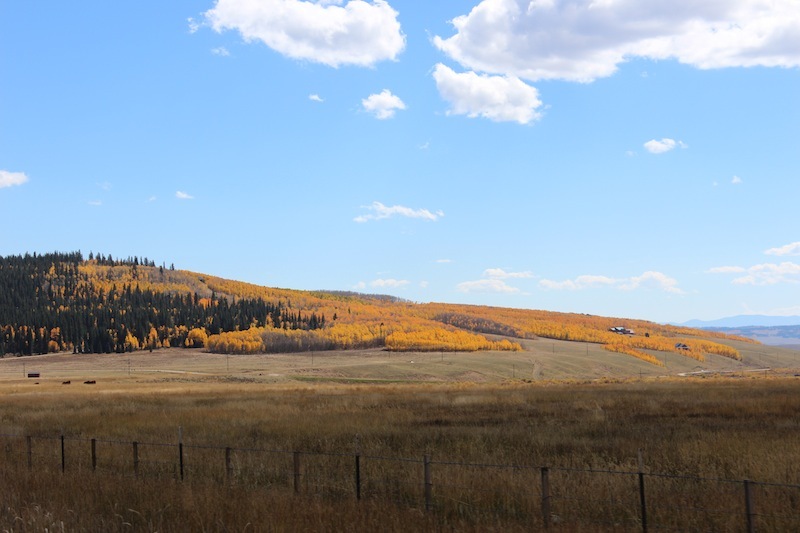 This part of Summit County used to be an active mining area and home to many small mining communities that have long since disappeared. Our ascent up Georgia Pass was steep, narrow, and rocky. 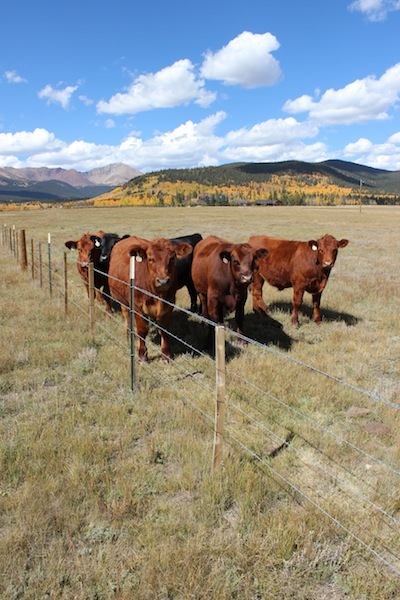 There are numerous spurs off the main trail, which can make the trail somewhat confusing to follow. 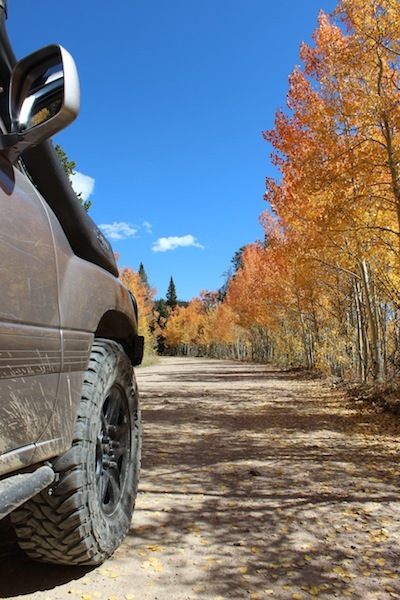 The road is marked with forest service road markers, but they can easily blend in with the dense trees and brush. 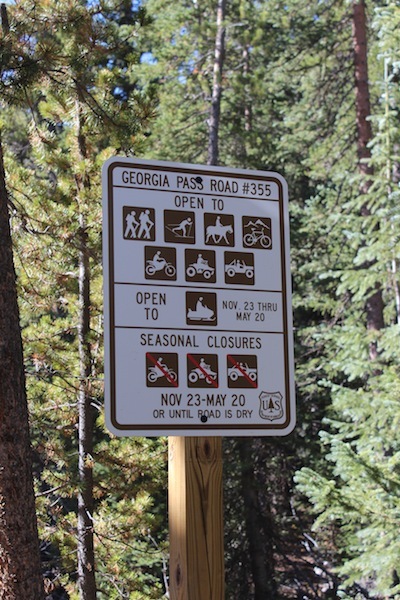 If you go, just be sure to follow 355 signs. 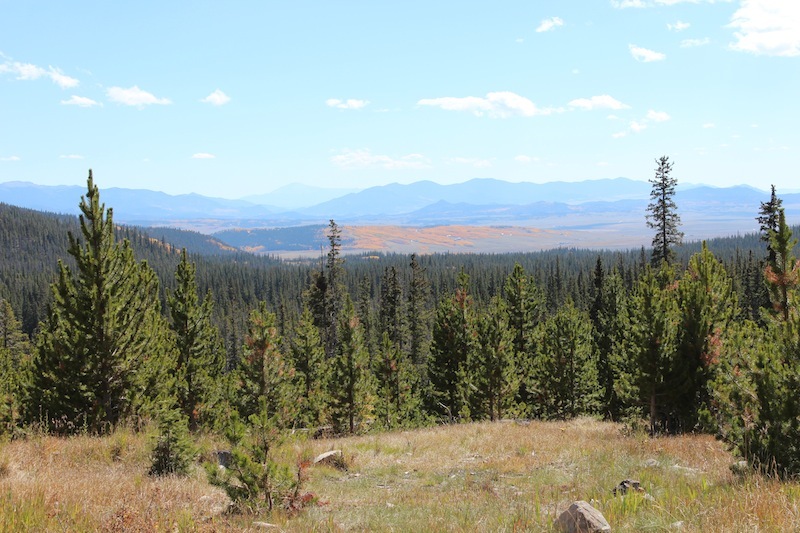 After emerging from the narrow trail, we drove past tree line and were greeted with a magnificent view. 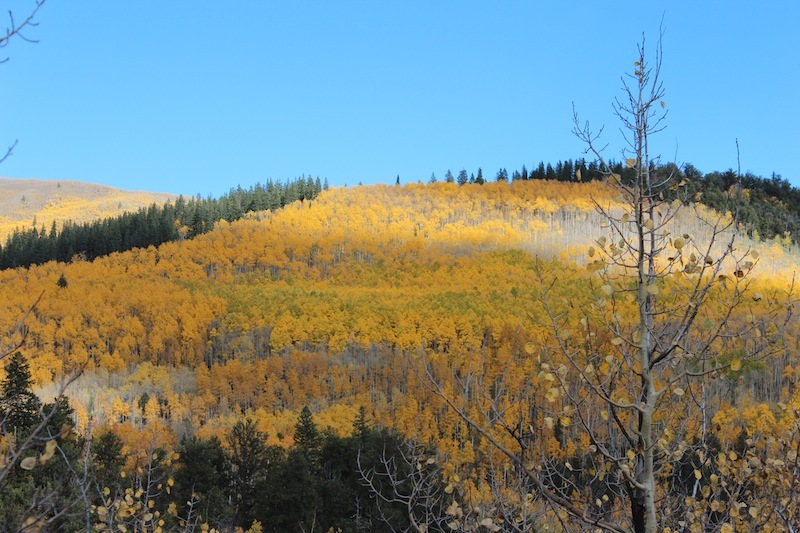 We were slightly disappointed that we had yet to see any Aspens, but once we reached the top of the pass, we were able to see the gold foliage awaiting us on the other side. Georgia Pass – elevation 11,585 feet. Mount Guyot sits in the background. 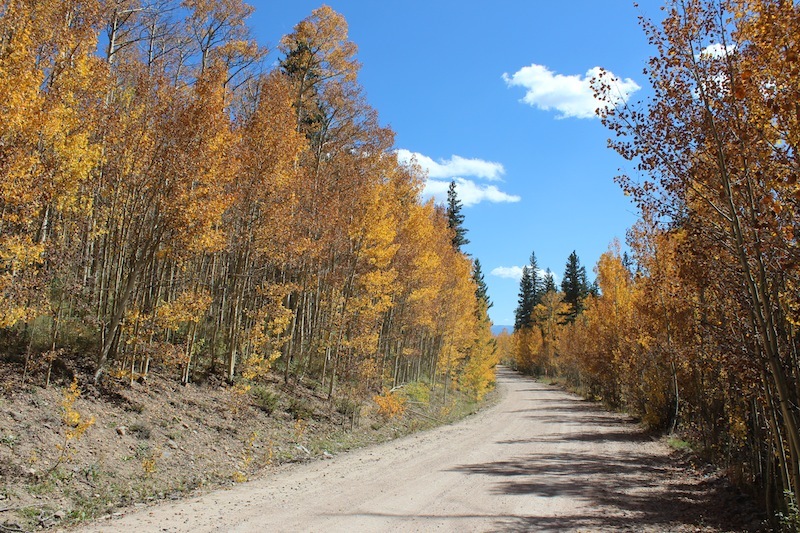 Descending the pass towards Jefferson, the road is well maintained and easily traveled by all vehicles….And is surrounded on either side by glowing Aspens. 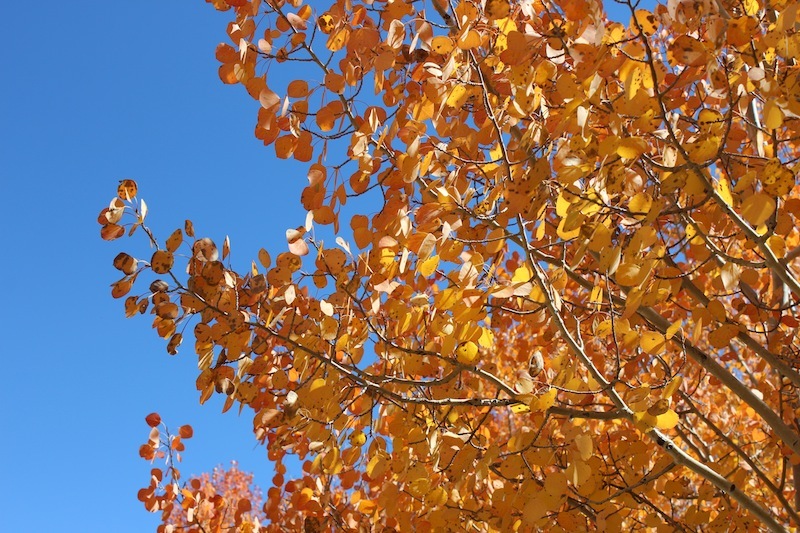 Contrast of the golden Aspen leaves against the Colorado blue sky. The golden leaves continued around every corner. 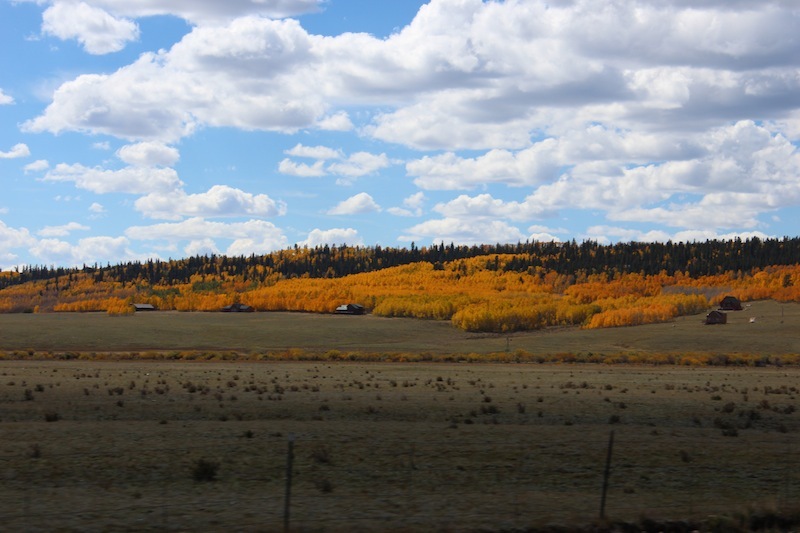 Lucky folks to live amongst the Aspens. Once we finished Georgia Pass, it was still early in the day, so we continued down the highway and explored a portion of Weston Pass. 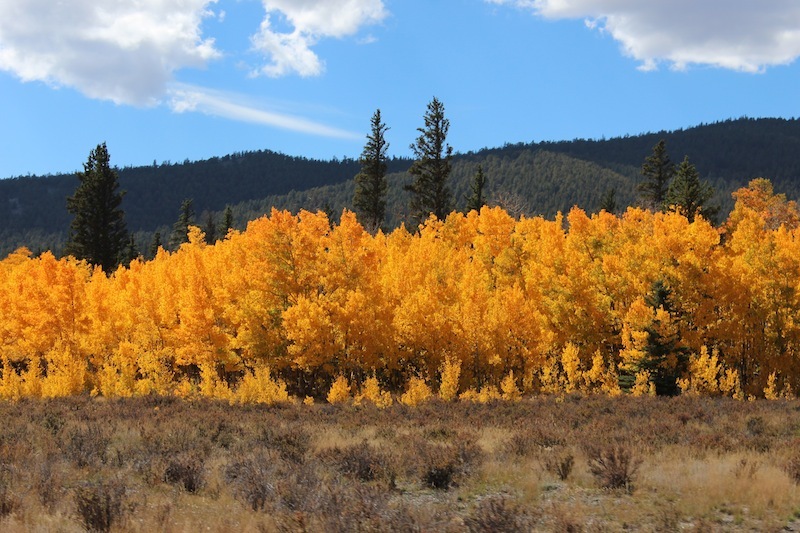 We found a few more amazing displays of fall color. You are making it hard for me to stay put!!! 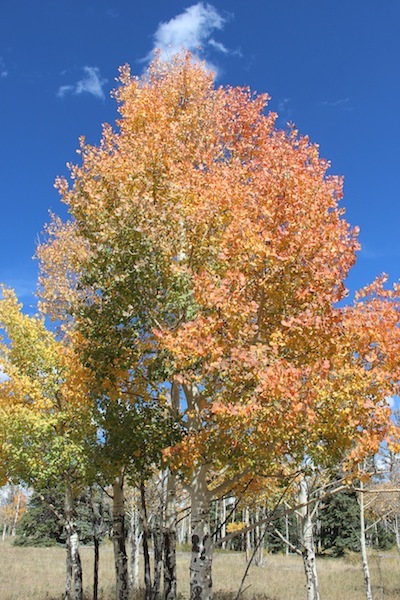 The aspen trees are beautiful. Maybe one day we will get out there when they are at their peak. Looked like a nice smooth ride at 11.5k ft elevation, the trees are outta site, you remember when your Dad, Mom, Doris and I came out to visit and we went to pikes peak, I was looking at the pics I took and the aspen gold was in full glory then I’ll never forget what a good time my sweet lady and I had with all of you, that was a good trip. I remember that trip well…we actually talked about it during this trip. Great times and people.